Newark Creates is a collaborative plan, powered by Newark Arts on behalf of the City. It is an organized initiative of community members, nonprofit, for profit, and governmental stakeholders working together to advance an equitable foundation for both communities within Newark and the Community of Newark to thrive with arts and culture. 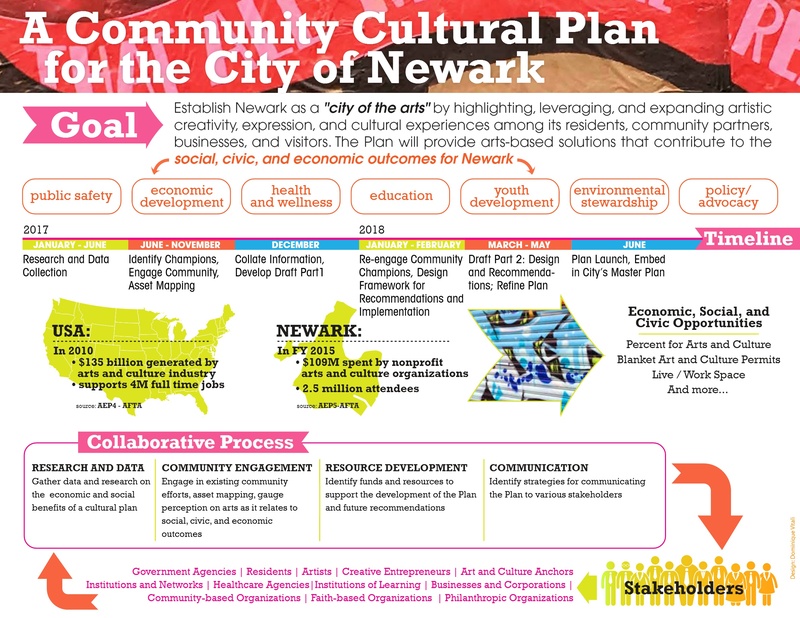 The outcomes of the Plan will support the civic, social, and economic growth of the City of Newark and will advance new developments in the creation, production, and availability of arts and culture in the city. Maximize the effective use of city parks, libraries, and recreation centers as vibrant venues for arts presentation. The outcomes of the Plan will support the civic, social and economic growth of the City of Newark and will advance new developments in the creation, production, and availability of arts and culture in the city. 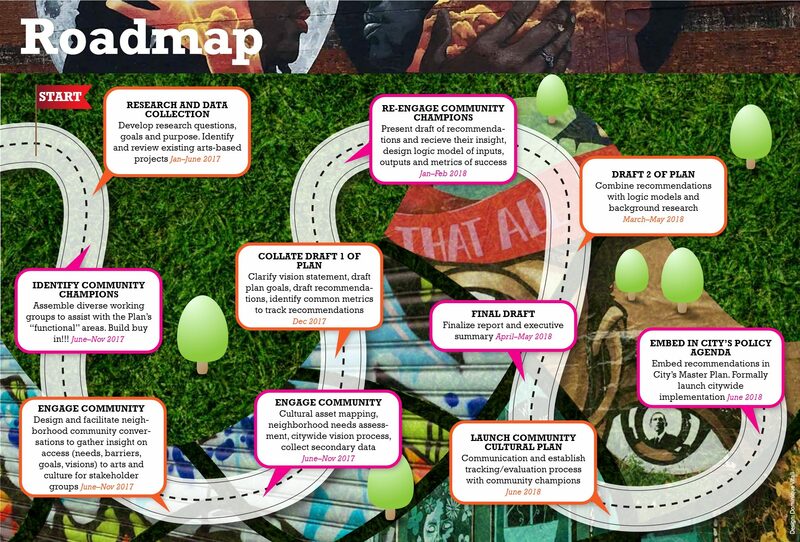 A community cultural plan created for the City, by the City, and of the City is a method to achieve this goal.